I have seen this topic come up pretty often and thought maybe I should post this resource here. 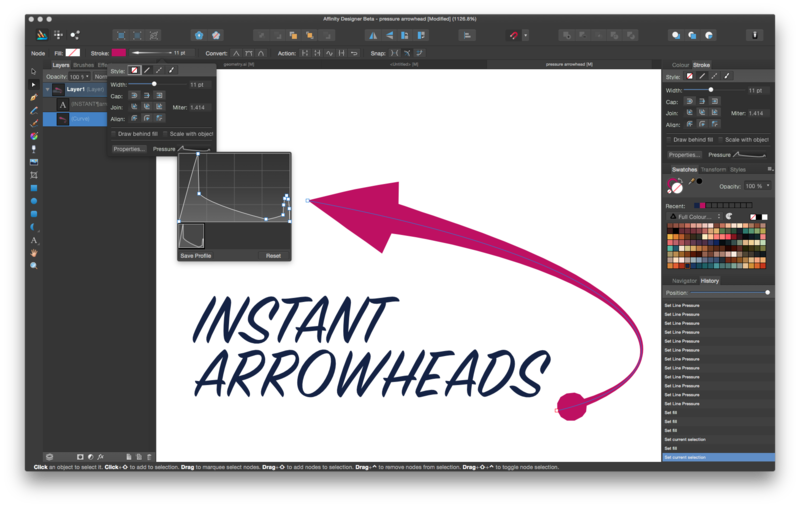 I know some people need to have native vector arrow shapes in their work so I created a brush for that you can use until arrows are implemented fully in the the application. Just import them into your brush pallet. Hmmm.. I know they say there's no such thing as a stupid question, but this may be an exception. How do you import a brush into the brush pallet? 3. Select the new brushes in your download folder (or wherever you've saved them) and click "open"
Newly imported brushes can be selected from the brush menu right beneath the "Brushes" menu label! Dutch, I came here for exactly this topic, how to import the brush. 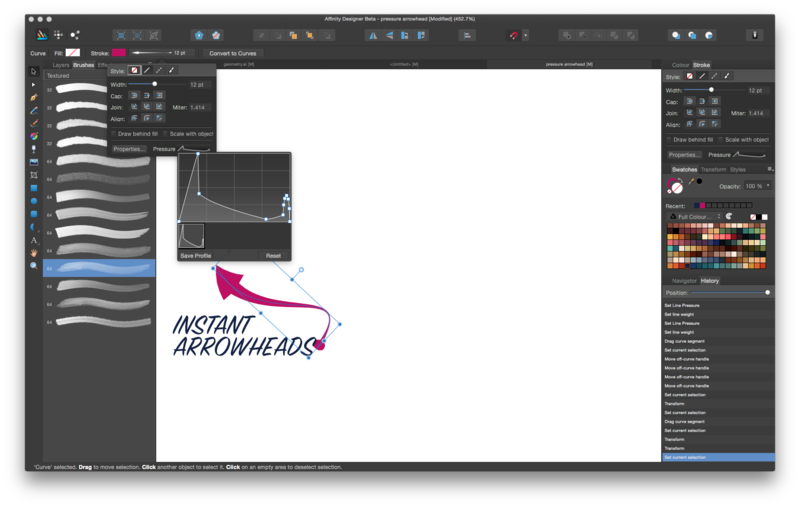 I was familiar with importing categories, but in the case of this file (arrow brush.afdesign) it doesn't seem to work. I can't select the file when i go there via Import Categories. I can double click the file in the finder, after which it is opened in AD as a regular image. And thank you, Ronnie, for sharing this! Hi Ronnie, thanks for these, although I too see a greyed out file when trying to import. 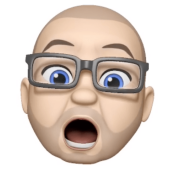 I did notice an earlier set of brushes from another source that has a .afbrushes file extension and not the usual .afdesign extension... any chance you could look into that? Hello everyone! Sorry, I had to detach for a bit. I look into this as I producing my next tutorial on brushes. So your answer will come in video format. Stay tuned! thanks for putting this back on my Radar. Sorry, the bush file has been updated it should work now. I gave you the wrong file and did not realize it until now. If you scroll up and redownload the file it will work now. 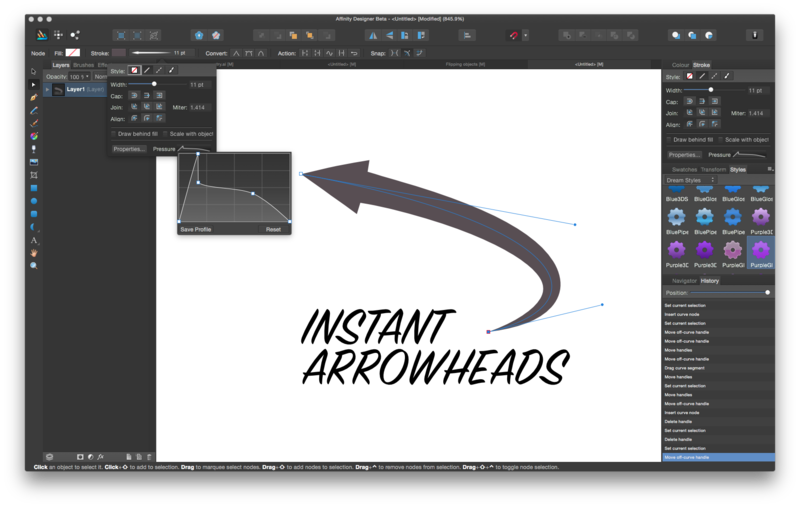 I also made a second double sided Arrow Brush and included it in this download. Thank you Ronnie, they work well, yay! Now THAT is clever, Ronny! Thanks for sharing this approach. It is an interesting and powerful approach. • Currently no way to save the profile to be used in other documents. The work around for this is save it as a style. its not a pretty solution but it get the job done. Naming and categorizing your style name is important when you use this approach. I wish there was a different representation for saving style that are stroked based. • You can't customize the endpoints and you can't really get a clean circle without a bunch of notes on the end. * What I like the most about this approach is that you can really customize the profile thickness over the length of the of the stroke. You can really make some cool organic strokes. 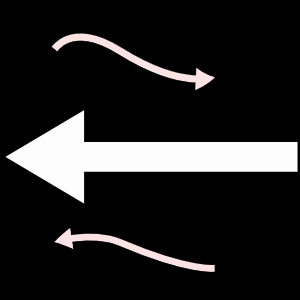 First thing I think of when using this techniques is making graffiti arrows. Thanks for this post Ronny! Ohh, I like how it stretches along a profile too. Like everything else there are pros and cons that why I was listing them. That really part of understand why use one method versus another thats all. As for saving. I am working in the MAS version. I have specific reasoning for doing so. In the MAS version you can save a profile in a per document basis. Once you create a new document that profile is not saved like a style is saved. This means you have to create this profile every time you create a entirely new document. I see you are using the Beta has this functionality been changed in the Beta version? I prefer to create a profile once and then have it saved so that when I start a new drawing in a entirely new document I don't have to create the same stroke profile every time. or copy and paste the profile and then save the profile in that document. It's seems to be working fine here. I've attached the file again below just in case. Thank you MEB. Oh, by the way zalesthebard my brush set only works with the MAS version of Affinity Designer and not the Beta.